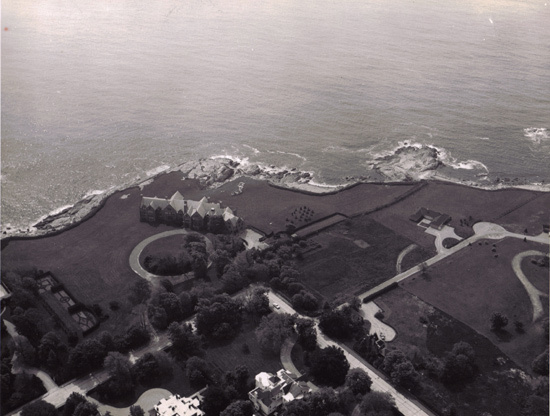 These old Newport RI photos are of Rough Point, home of tobacco heiress Doris Duke. 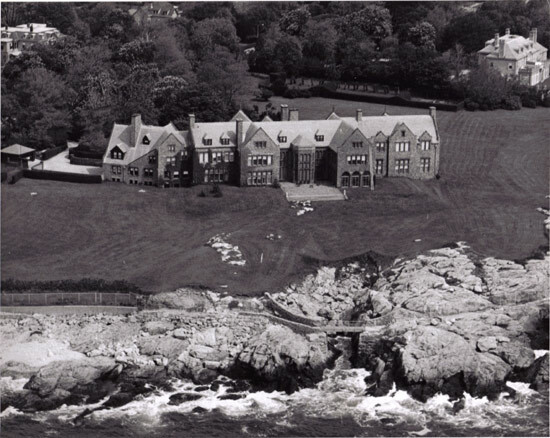 This is probably #2 on my list of favorite Newport mansions, just after The Breakers. 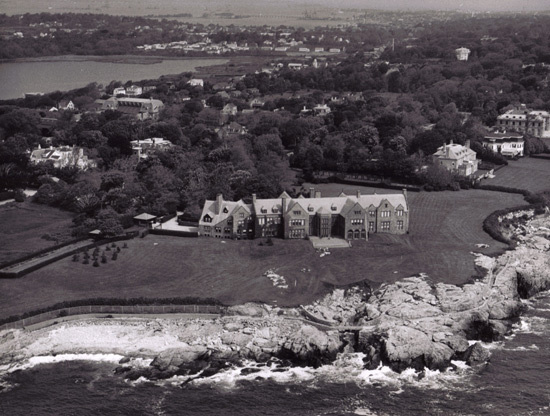 Rough point is located at the southern end of Bellevue Avenue, overlooking Newport's beautiful rocky coastline and the breathtaking Newport Cliff Walk. 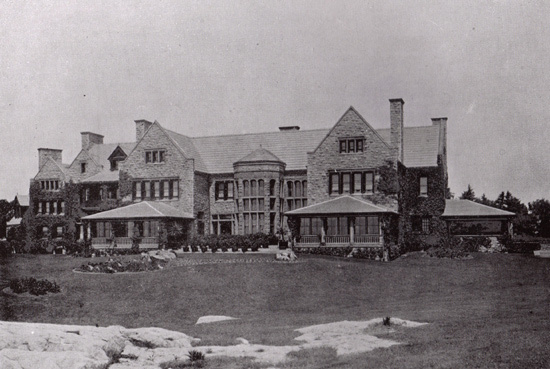 This home was originally commissioned in 1887 for Frederick W. Vanderbilt. 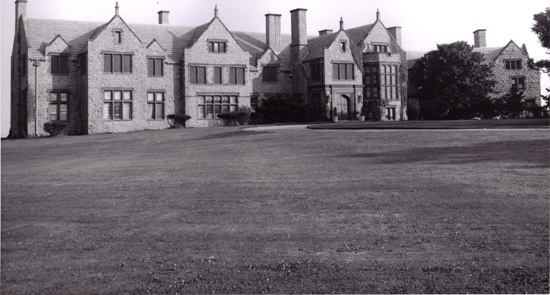 Vanderbilt sold the property to William B. Leeds in 1906, and Leeds' widow sold it to James B. Duke (benefactor of Duke University) in 1922. 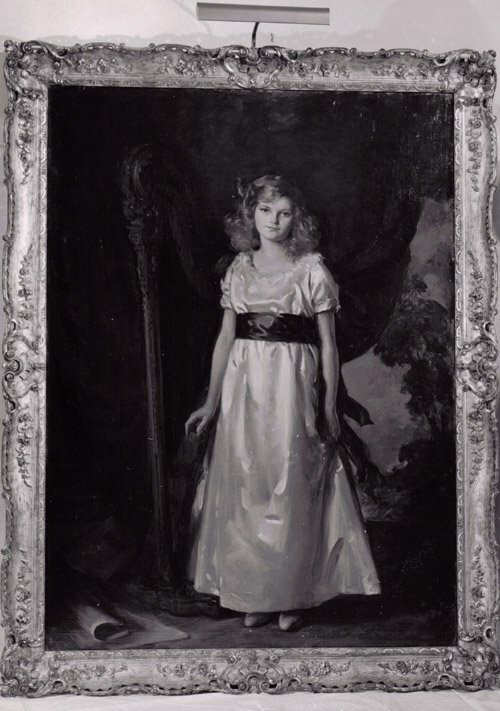 Doris continued to use the home up until her death in 1993 at the age of 80. 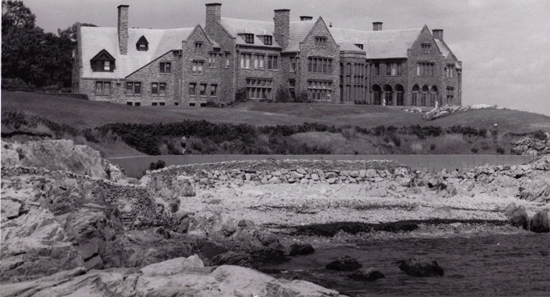 After some legal issues were sorted out, the property was opened to the public in 2000. 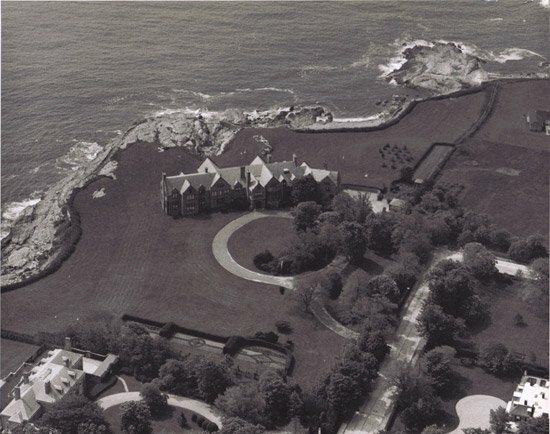 This aerial shot below, facing south, shows the last few mansions on Bellevue Avenue. 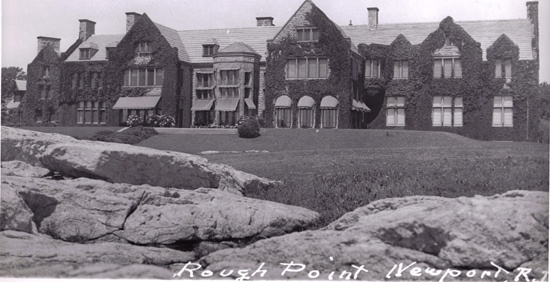 Rough Point is at the top left. 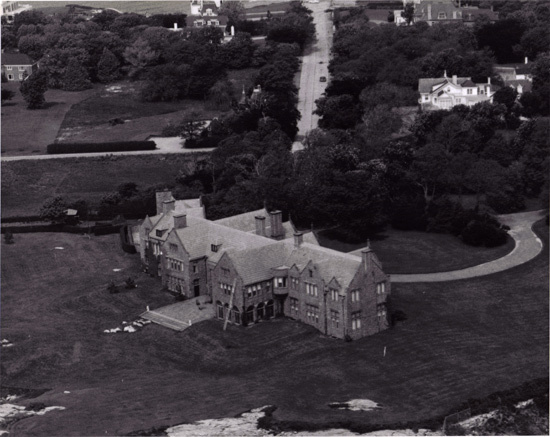 The shot below was taken from the east. Rough Point is in the foreground, and in the background you can see Bailey's, Hazard's and Gooseberry beaches. The shot below is from the southeast, with the Rough Point Bridge in the foreground. 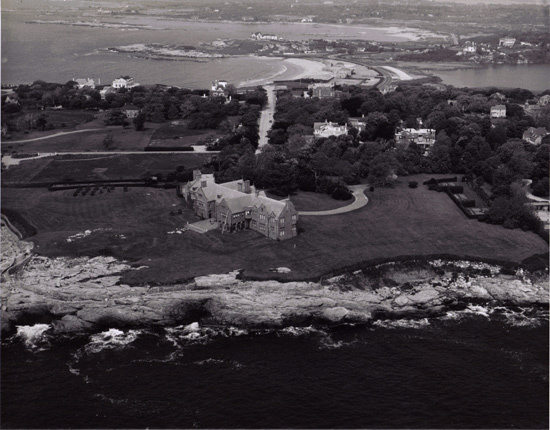 This is a nice shot with Almy Pond seen on the left and Newport Harbor at the very top in the background. 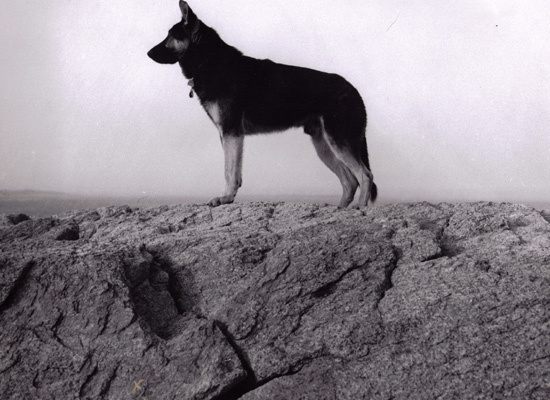 One of Ms. Duke's dogs standing guard over the property. I'll check with some of my family members to see if they remember its name and get back to you. 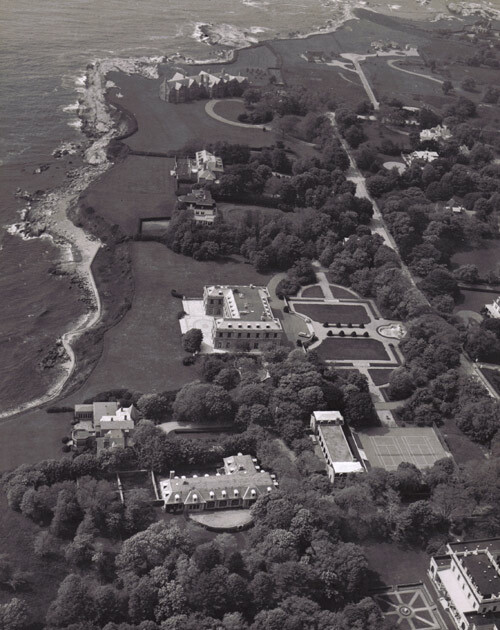 The garden was originally designed for Mr. Vanderbilt by Frederick Law Olmsted (the father of landscape architecture) in 1890. 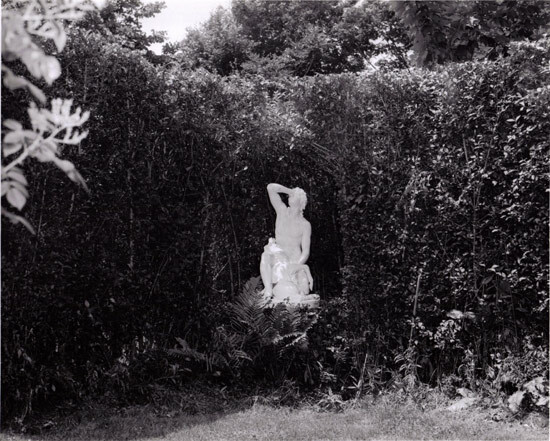 I'm not sure if this statue is still in the garden or not. 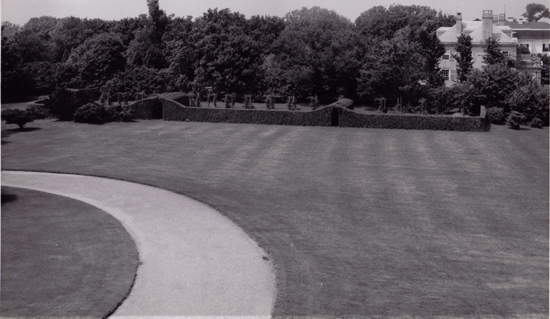 Take the Landscape History and Garden Tour while there and see for yourself. I hope you've enjoyed these photos from the vault. If you want to see more old photos like these click on the link below to see previous updates. And don't forget... if you'd like to share any of your own Newport photos and/or stories, we'd love to see and hear them.